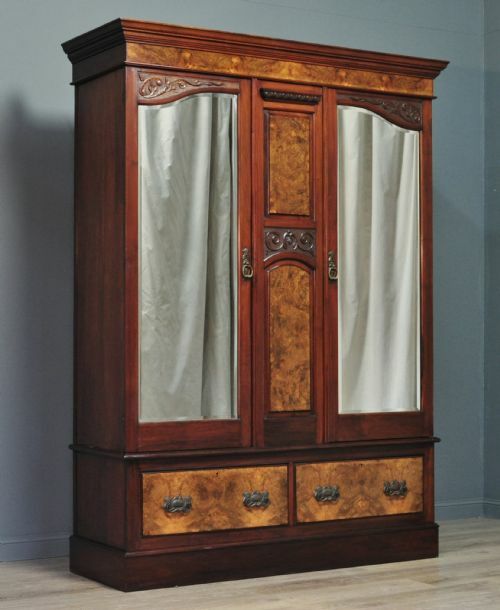 Attractive Art Deco double wardrobe. 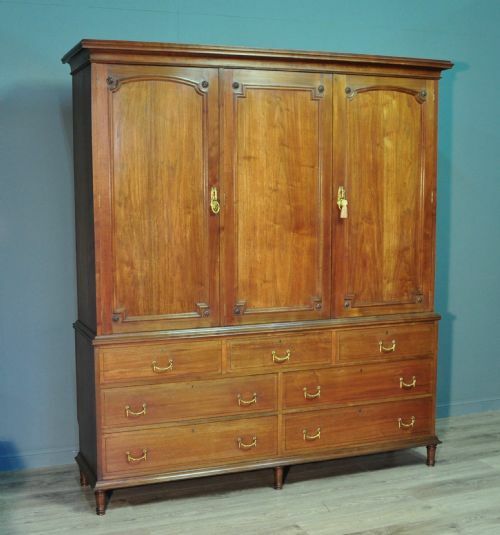 A lovely Art Deco double wardrobe. We date this wardrobe to the 1950/60s. The wardrobe sits on a slightly recessed plain plinth base. 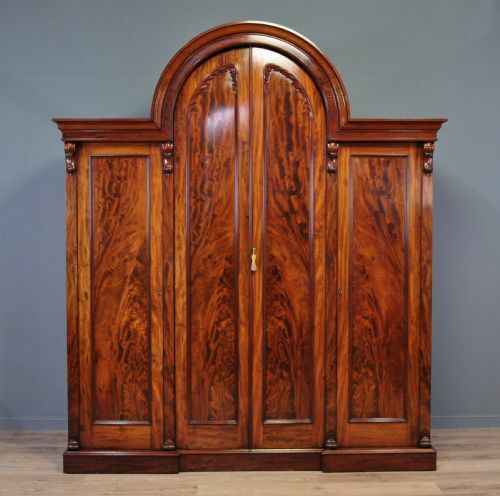 The front of the wardrobe is of a two panel bow front design, with each panel being a side hinged door. The doors have been veneered with various contrasting grain walnut and are fitted with cast handles and a working lock (key supplied). The interior of the wardrobe features a bank of shelves and drawers on the right hand side and a side to side hanging rail on the left. 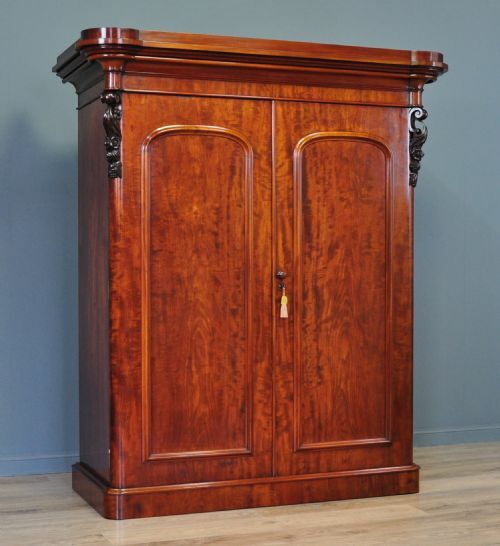 The wardrobe has a height of 69 (175cm), a width of 37" (94cm) and a depth of 22" (56cm). 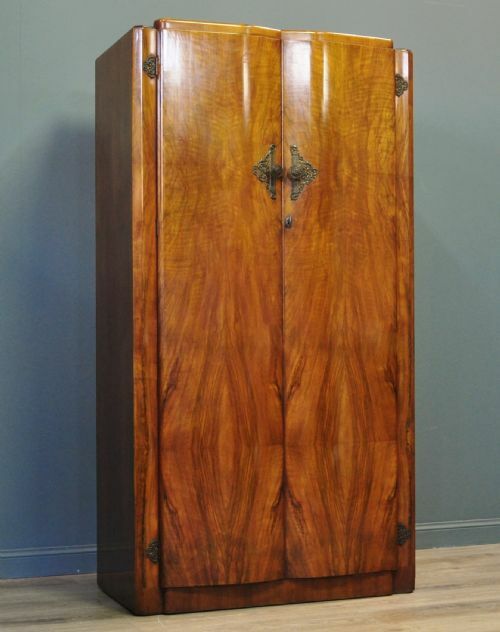 This lovely Art Deco wardrobe remains in very good solid condition with only minor surface markings commensurate with age and usage, including a number of minor indentations and marks to the finish. This remains a simple yet stylish and elegant wardrobe. It will continue to provide good service for many years to come. Attractive antique Victorian oak hall side table. 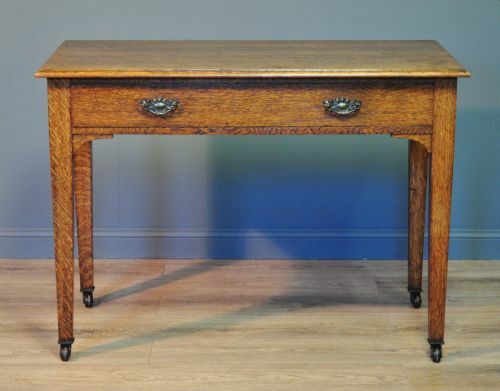 A lovely antique Victorian oak table. 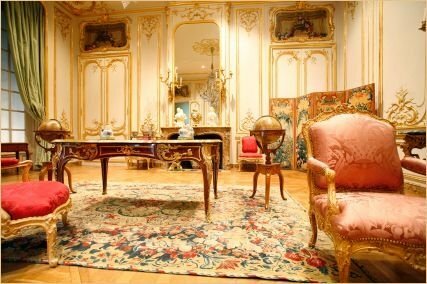 We date this table to the second half of the 19th century. The table sits on four downward tapered legs with ceramic castors. The main table is oblong in shape and has a single drawer at the front of the table. It is fitted with attractive drop handles mounted on shapely embossed brass backplates. The drawer has a central partition and a past owner has made a small compartment tray to fit the drawer. This can be easily removed if required. The table has a height of 30" (76cm), a width of 42" (107cm) and a depth of 22.5" (57cm). This lovely Victorian oak side table remains in good solid condition with only minor surface markings commensurate with age and usage. There is some minor wear to the finish and there are a few indentations and light scratches to the top surface. This remains a very stylish and elegant Victorian table. It will continue to provide sterling service for many years to come.